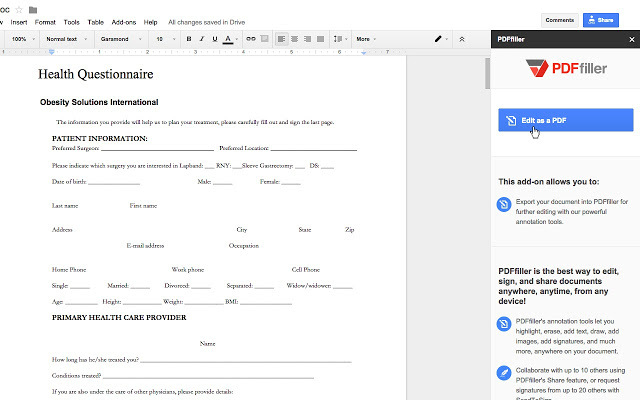 Instantly open fillable PDF copies of your Google Docs in the PDFfiller editor, and easily add and highlight text, request signatures, and collaborate with others! 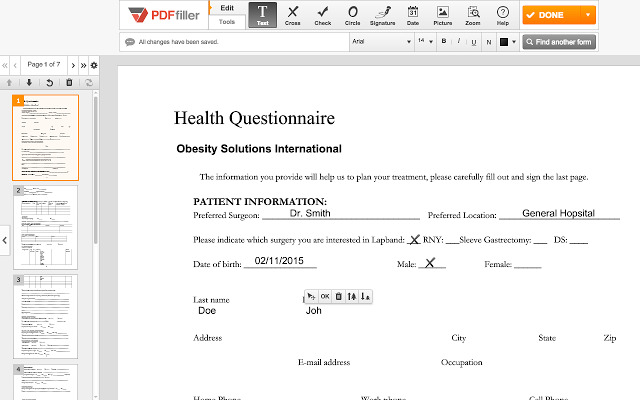 Open fillable PDF copies of your Google Doc in the PDFfiller editor, and easily add text, highlight important information, request signatures and invite others to collaborate. Print, email, fax, and download a copy when you’re done! 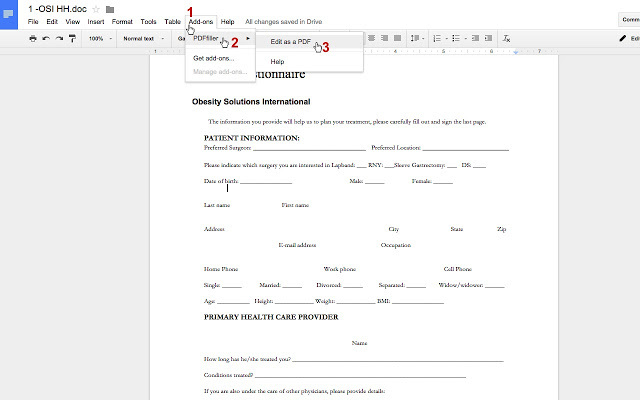 Open any Google Doc as a PDF, and instantly edit, sign, or send your document with PDFfiller's powerful annotation and export tools! Use Google Docs to draft important documents with blank fields such as application forms, permission slips, or legal documents, then use PDFfiller to finish the job. Avoid annoying tab and alignment issues, add your real signature to any document, and even make documents available online for anyone to fill and submit! 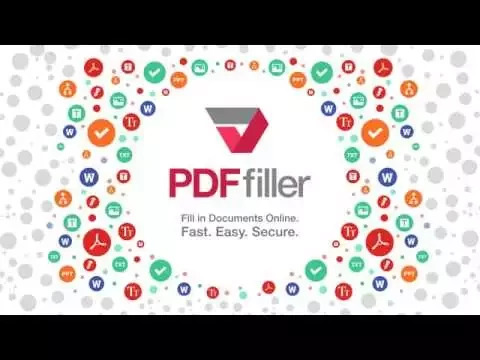 Try PDFfiller FREE for 7 Days!